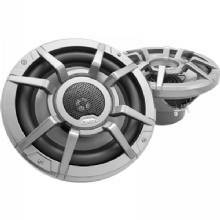 6.5 inch Coaxial speaker, MFG CMG1622R, 6.5 inch woofer with coaxial 1.25 inch tweeter. 100 Watts max, 50 Watts RMS, 4 ohm, 55Hz to 20KHz frequency response. Includes white grill. 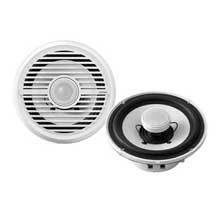 7 inch Coaxial speaker, MFG CMG1722R, 7inch woofer with coaxial 1.25inch tweeter. 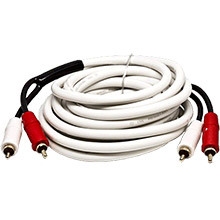 100 Watts max, 50 Watts RMS, 4 ohm, 55Hz to 20KHz frequency response. Includes white grill. 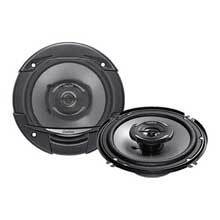 10 inch Performance Series Subwoofer, MFG CMQ2512W, 10 inch cone, 400 Watts Maximum, 180 Watts RMS, 4 ohms, 30Hz to 600Hz frequency response. Includes silver grill. 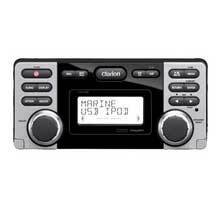 CMS5 Stereo, MFG CMS5, waterproof black box and controller, AM/FM, iPod/MP3 player, MP4 video, Bluetooth input, SiriusXM ready, Dual USB ports, AUX, A\V input. 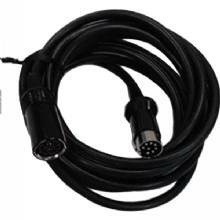 Outputs: 6 channel audio and composite video. 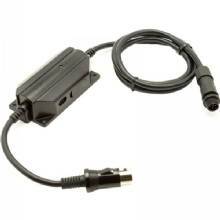 Includes wireless IR remote. 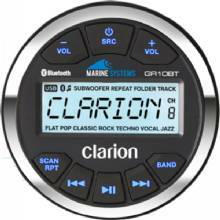 Marine Mechanism-less stereo receiver no CD, MFG M205, Integrated source unit/controller with AM/FM/USB/Aux/iPod, MP3/WMA/Pandora Internet Radio capable, 4 x 50 Watt amp, 4 channel output. Optional wireless remote. 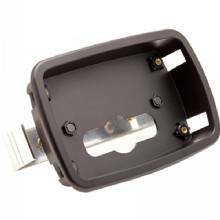 RF Floating Remote, MFG MF1, up to 100 ft. range, not line-of-sight. 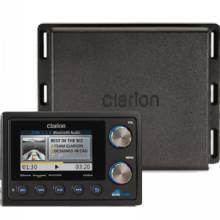 For use with CMD6, CMD7, CMV1, M309, and all Clarion source units with OEM steering wheel remote input. Includes docking clip. 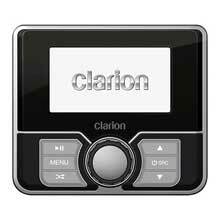 WiFi Remote, MFG MF2, allows control of Clarion stereos through App on Apple iOS systems only. 100 ft. operating range. Requires download of free App from iTunes store. 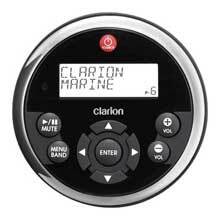 Remote /Display, Round Black/Stainless Bezel, MFG MW1, watertight wired remote with LCD. Up to three can be install on one system. Cable sold separately. 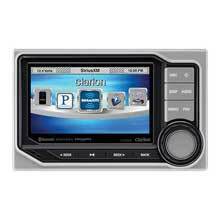 Remote Control, MFG MW4, 3 inch Color LCD, IP66 waterproof, for CMV, CMD, CMS and M Series units. 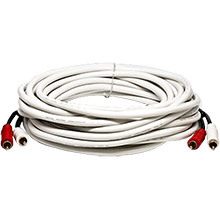 w/ 25 ft. cable. 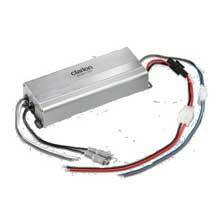 Amplifier, MFG XC2110, single channel, compact chassis, 300 Watts continuous 2 ohm, 200 Watts continuous 4 ohm. 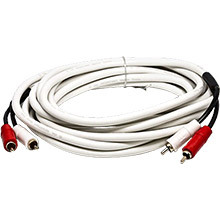 RCA and high level speaker inputs, mute control, gain control. 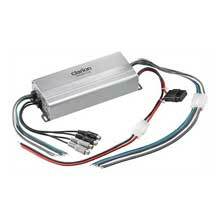 Amplifier, MFG XC2410, four channel, compact chassis, 75 Watts continuous/channel 2 ohm, 50 Watts continuous/channel 4 ohm. 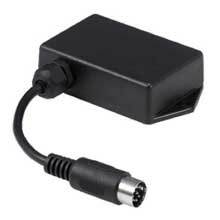 RCA and high level speaker inputs, mute control, gain control. 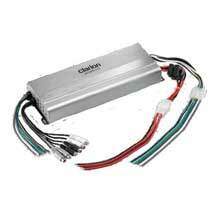 Amplifier, MFG XC2510, four channel, compact chassis, 75 Watts continuous 2 ohm, 50 Watts continuous 4 ohm. 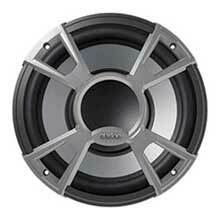 200 Watt 4 ohm subwoofer output. 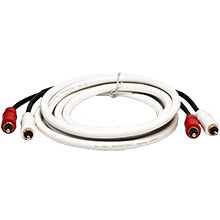 RCA and high level speaker inputs, mute control, gain control. 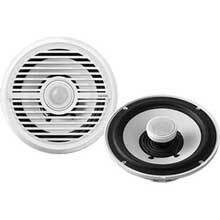 6-1/2 inch 2-Way Series Coaxial Speaker black/silver, MFG 17-SRG1622R, 6.5 inch woofer, 1inch tweeter, 250 Watt maximum, 30Hz -30kHz frequency response. Includes black grill w/ silver trim. For interior use. 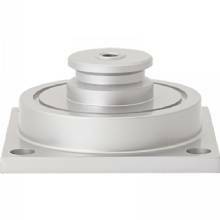 SRG1623R Speakers, MFG 17-SRG1623R, 6.5 coaxial Good Series speaker, with MIPP cone woofer and Strontium magnet. 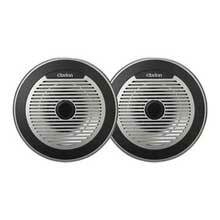 260 Watts max power, 30Hz to 30KHz frequency response. Not waterproof, for interior use. 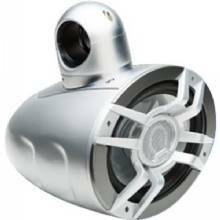 Marine 7 inch Coaxial Speaker (black/silver), MFG 41-CMQ1720R, 7 inch woofer with coaxial 1inch variable angle tweeter. 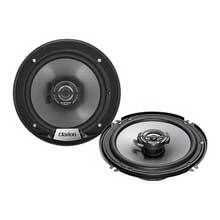 120 Watts max, 60 Watts RMS, 4 ohm, 55Hz to 20KHz frequency response. 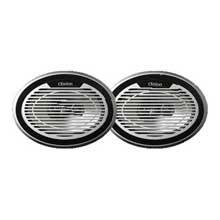 Includes silver grill w/ black trim. 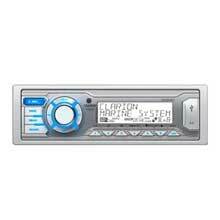 AM/FM/CD/MP3 player, MFG M303, 3 inch LCD, AUX input, USB, Sirius ready, 4 x 45 Watt amp, 4 channel output. 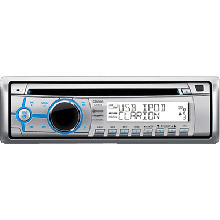 Bluetooth and Pandora control. 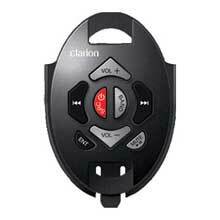 Optional wired and RF wireless remote. Not waterproof.